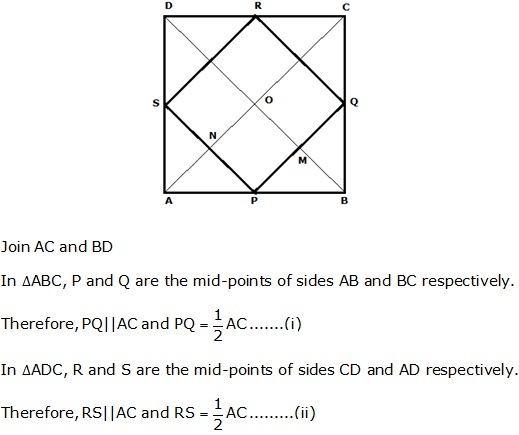 Frank Textbook Solutions are considered extremely helpful for solving difficult questions in the ICSE Class 9 Mathematics exam. 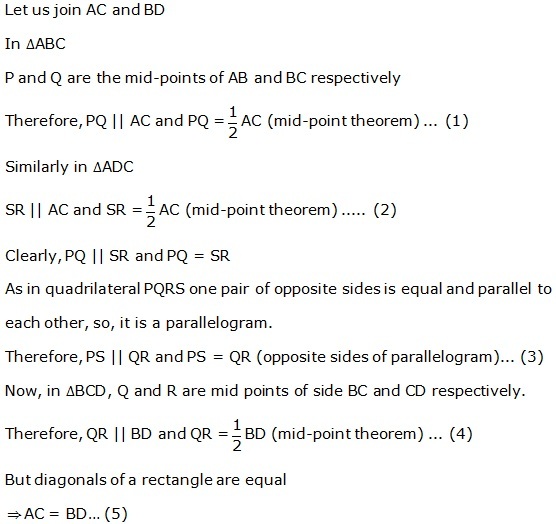 TopperLearning Textbook Solutions are compiled by our subject experts. 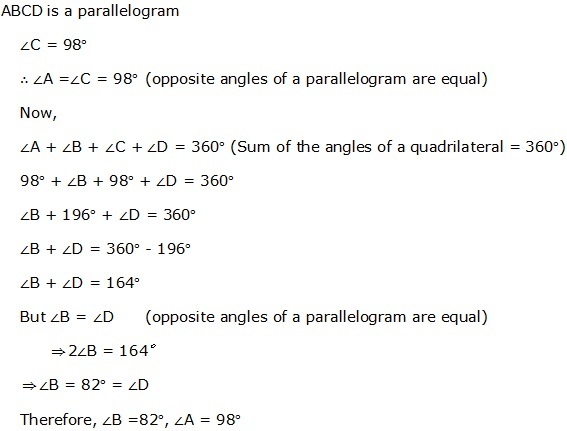 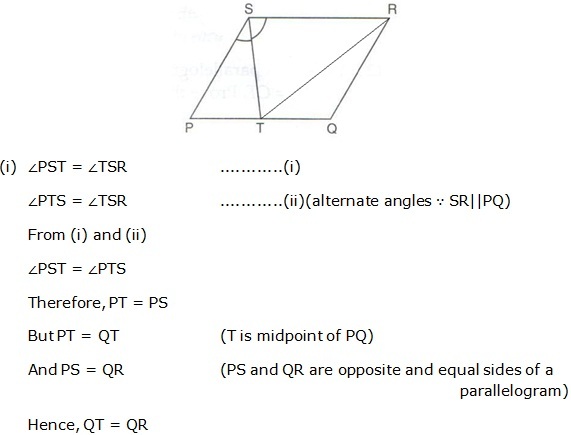 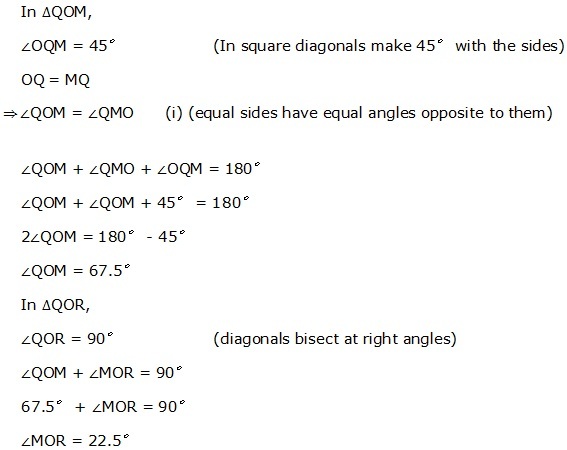 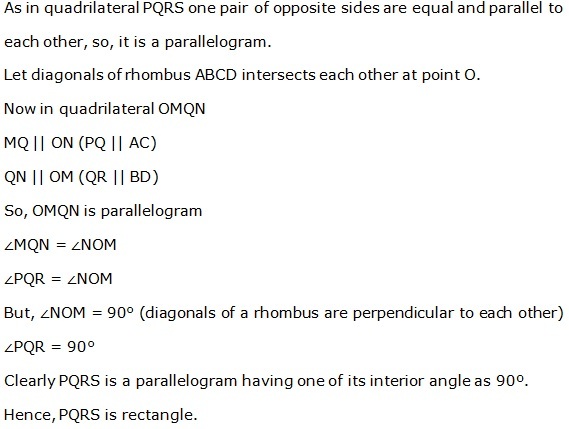 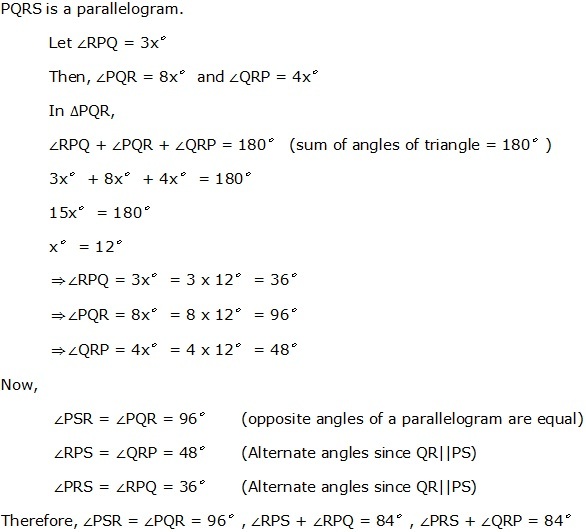 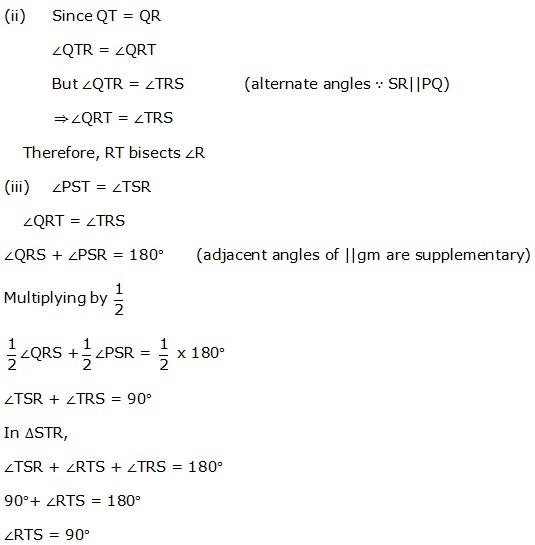 Herein, you can find all the answers to the questions of Chapter 19 - Quadrilaterals for the Frank textbook. 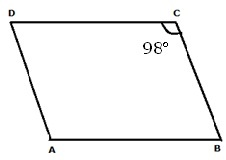 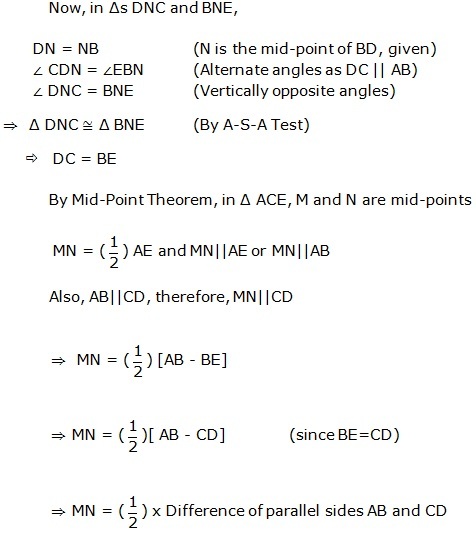 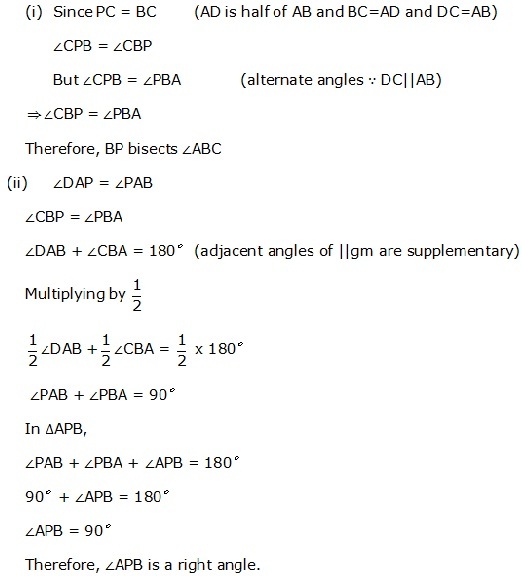 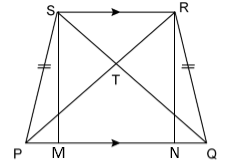 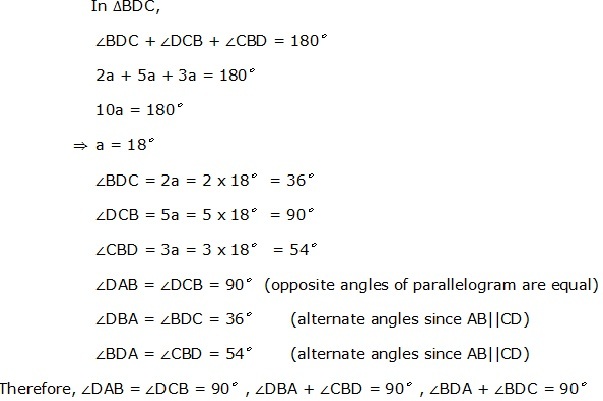 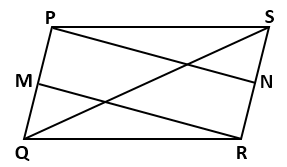 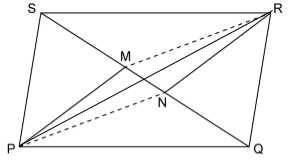 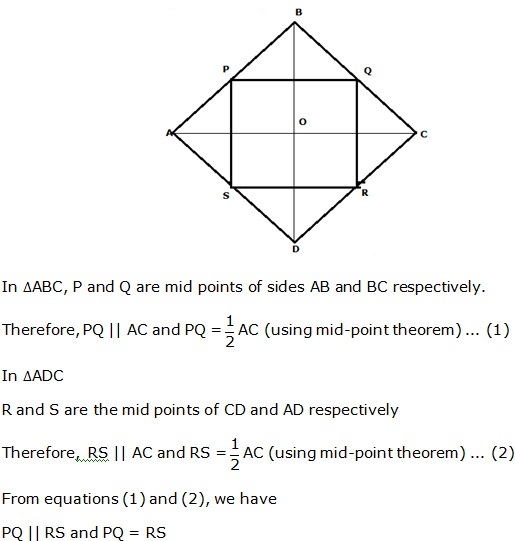 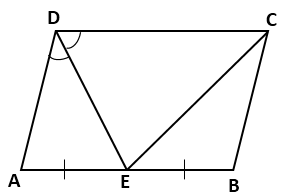 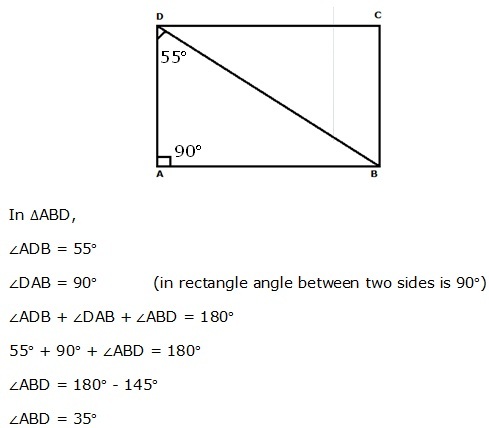 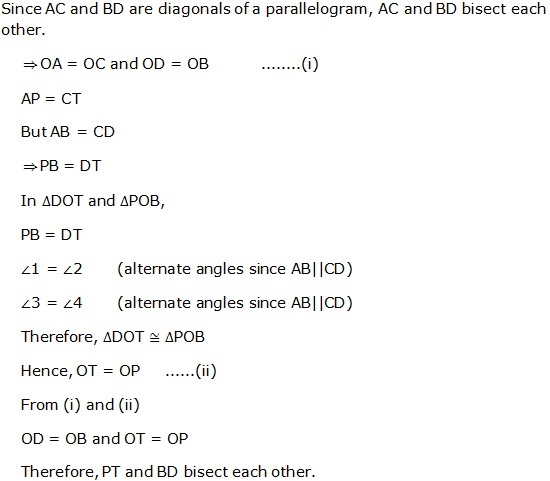 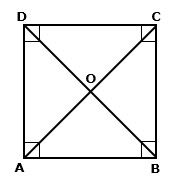 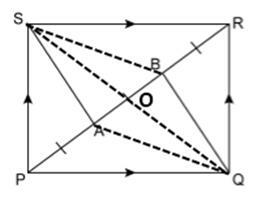 Let ABCD be a quadrilateral, whose diagonals AC and BD bisect each other at right angle. 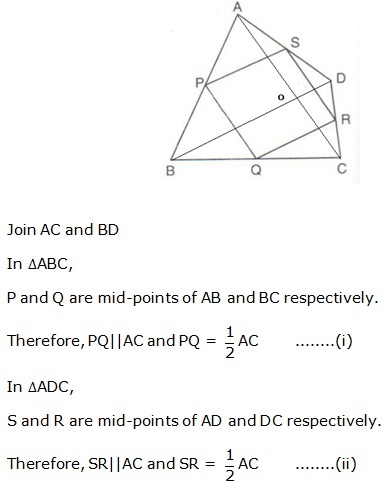 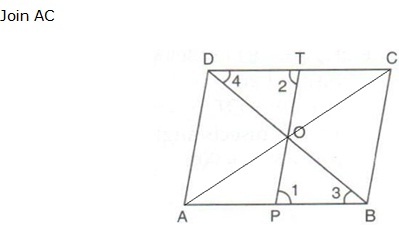 To prove ABCD a rhombus, we need to prove ABCD is a parallelogram and all sides of ABCD are equal. 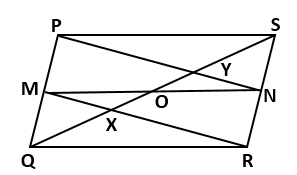 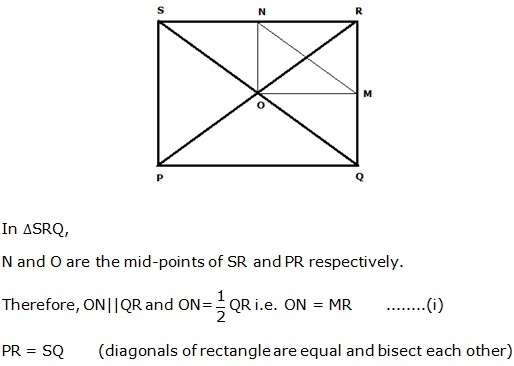 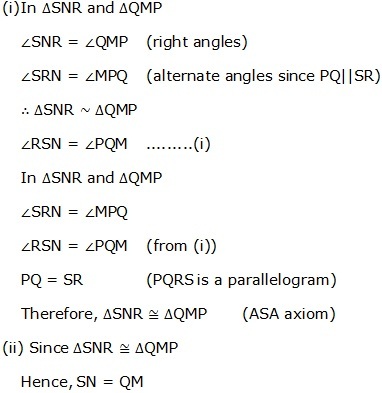 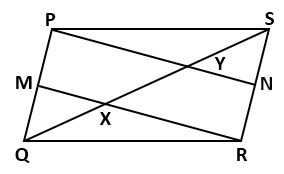 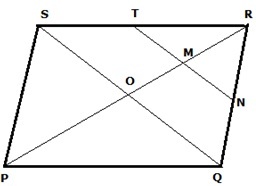 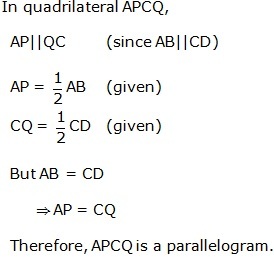 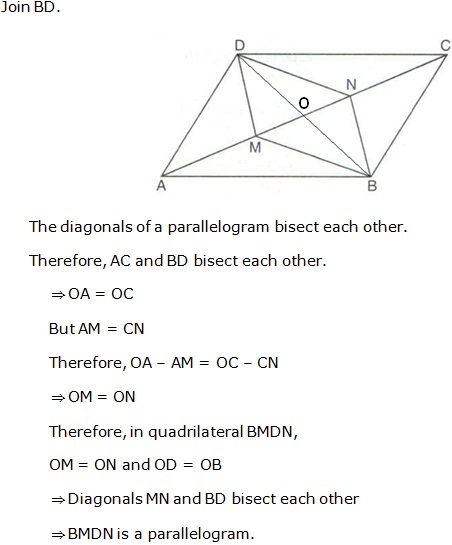 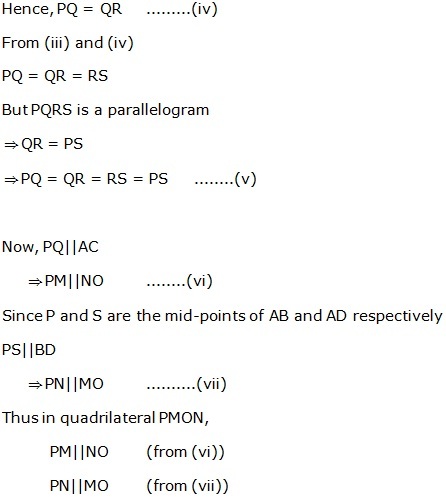 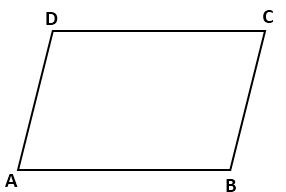 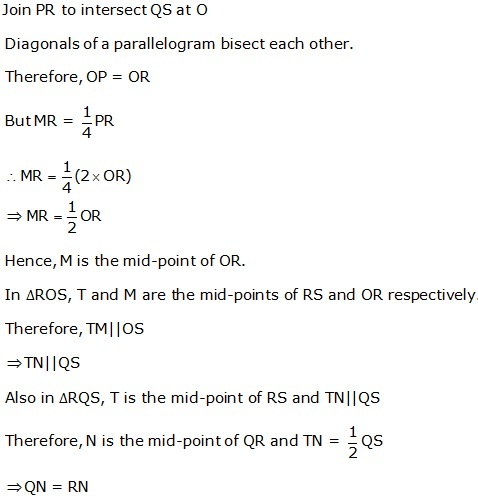 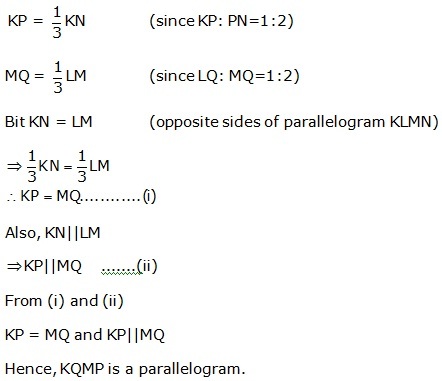 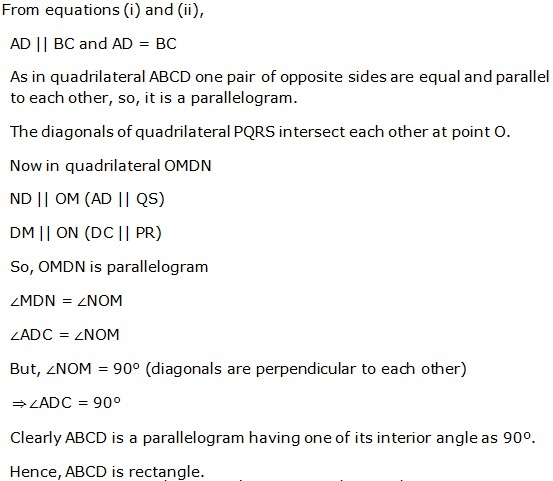 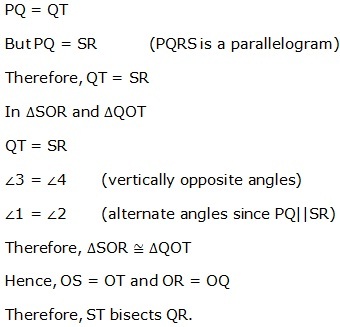 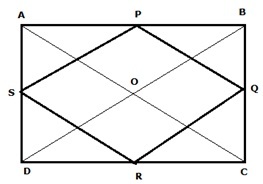 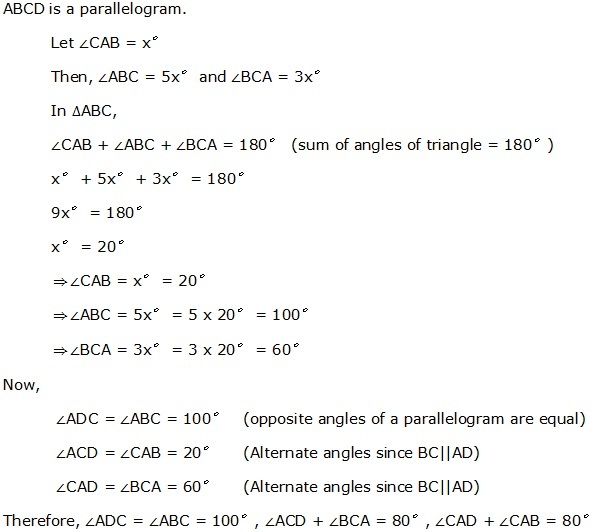 Since opposite sides of quadrilateral ABCD are equal, so, we can say that ABCD is a parallelogram. 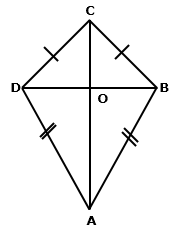 Since all sides of a parallelogram ABCD are equal, so, we can say that ABCD is a rhombus. 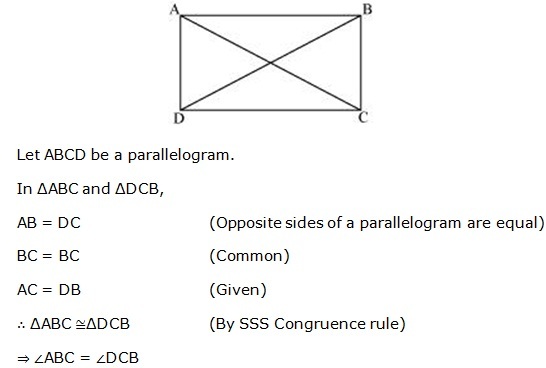 Consider ABCD is a kite. 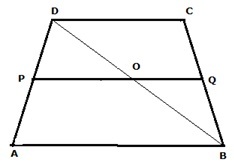 TopperLearning provides step-by-step solutions for each question in each chapter in the Frank textbook recommended by ICSE schools. 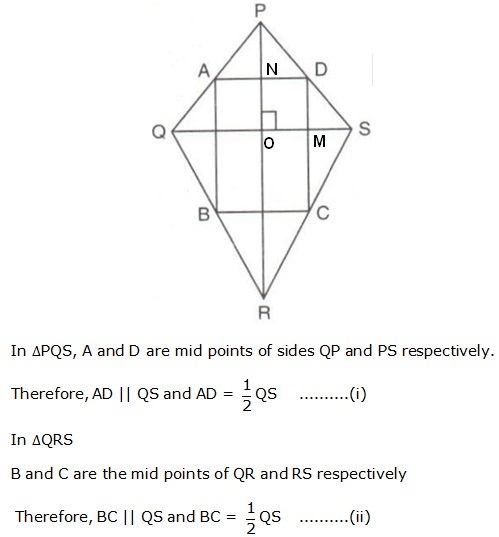 Access Chapter 19 - Quadrilaterals here. 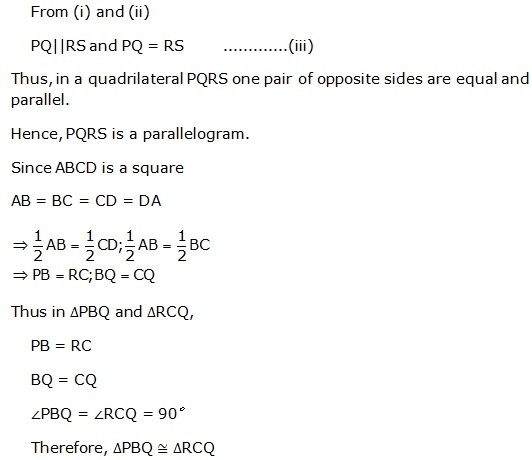 Our Frank Textbook Solutions for ICSE Class 9 Mathematics are designed by our subject matter experts. 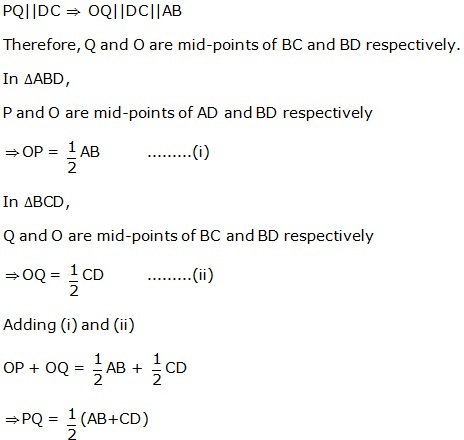 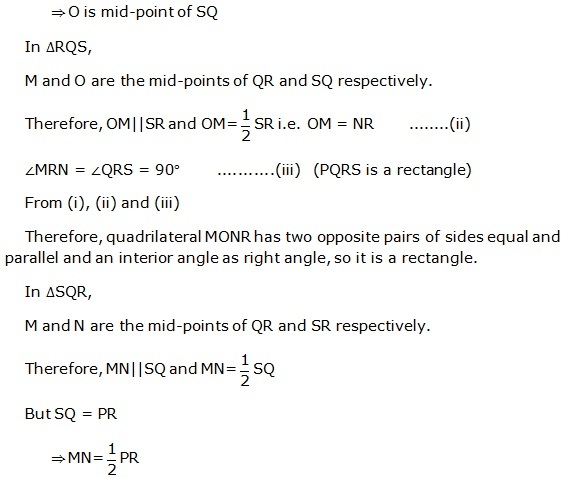 These solutions will help you to revise the whole chapter, so you can clear your fundamentals before the examination.